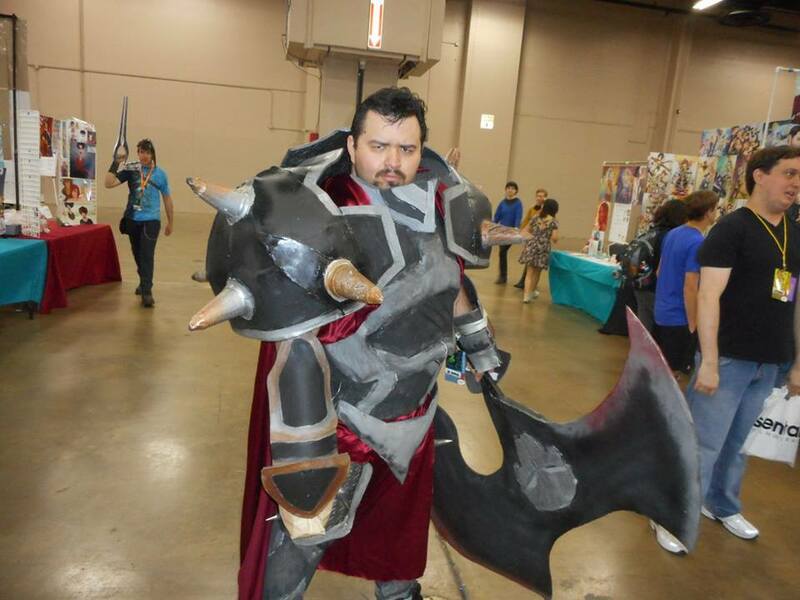 SAN ANTONIO,TX – San Japan (July 31-Aug. 2 at the Convention Center) is another world and a mortal must be prepared to visit there. Here are a few tips to guide one into this world. Always bring a bag. A backpack is ideal but a ‘gimmie-bag’ grocery recycle sack will work. Bring a water bottle; the Anime Land at the Convention Center has plenty of water fountains for refills. A lunch couldn’t hurt; food is expensive. Bring money; lots of it. Buy stuff. Put it in your bag. Bring a camera. Take lots of pictures. Yeah! 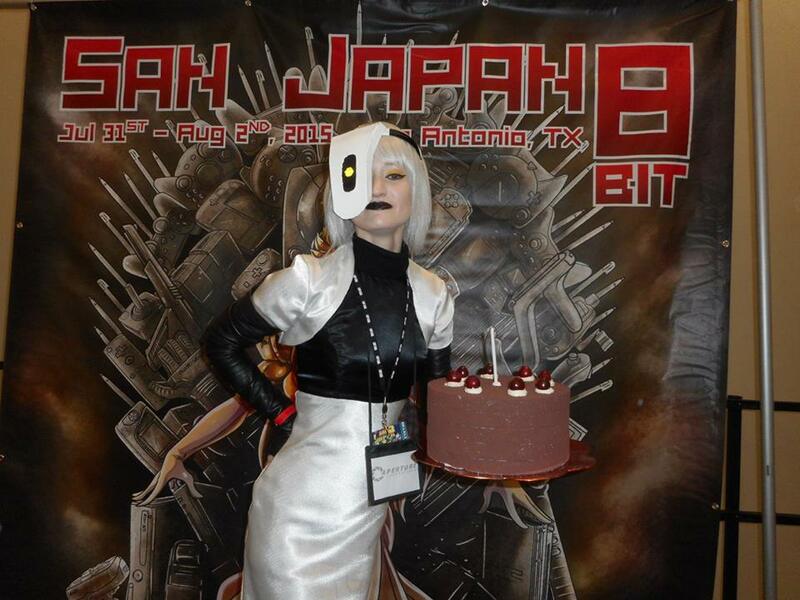 If you’ve been to one of the eight previous San Japan events in San Antonio, you know what to expect. If this is your first, expect to see 20,000 freaks and geeks, furries and warriors, Ninjas and Lolitas; a third of them in costume. Kiba is a near naked ninja from the Leaf Village. She is clothed in clouds and carries a dog. 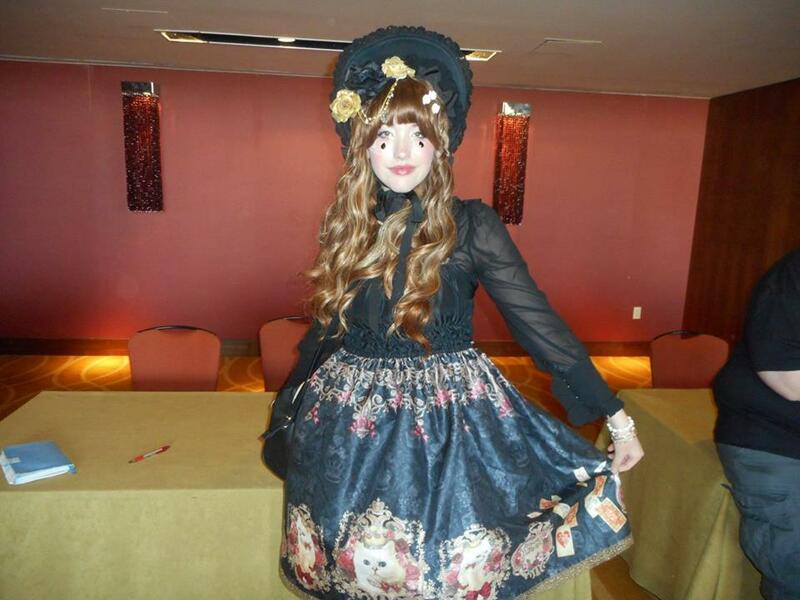 Her friend Shino is similarly dressed but has bugs in her hair. 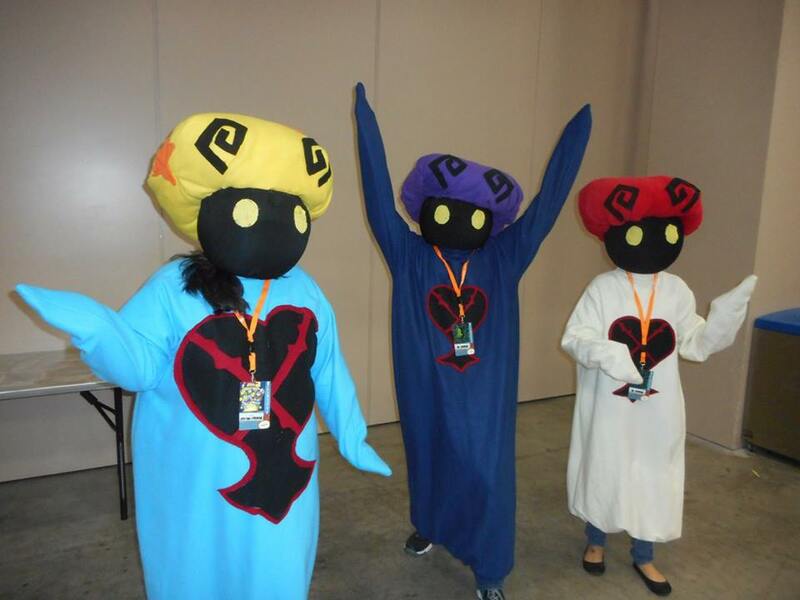 Mushrooms do not talk (duh) so it was hard to interview these heroes from the Kingdom of Hearts. The White Mushroom does magic. Alas, magic is her weakness as well. 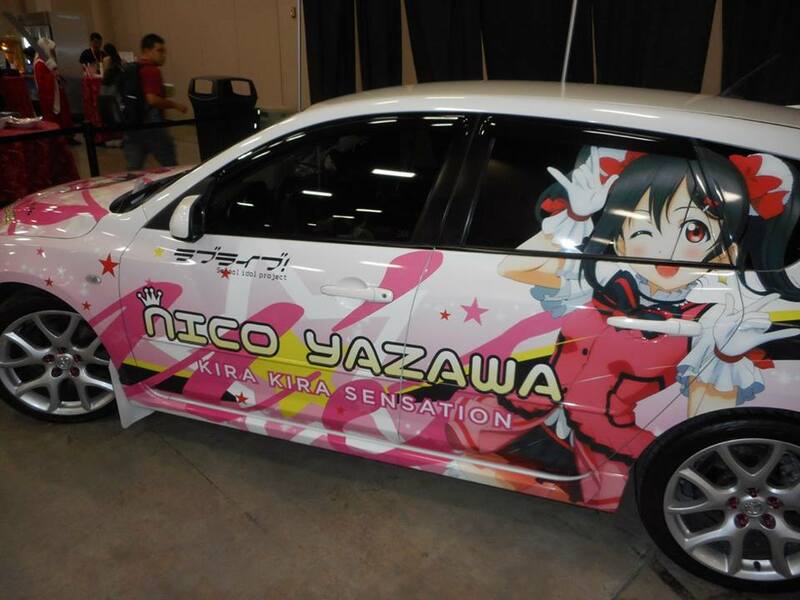 A car-load of Lolitas could travel to their next tea party in this pink mobile; it’s a KiRa-KiRa Sensation! 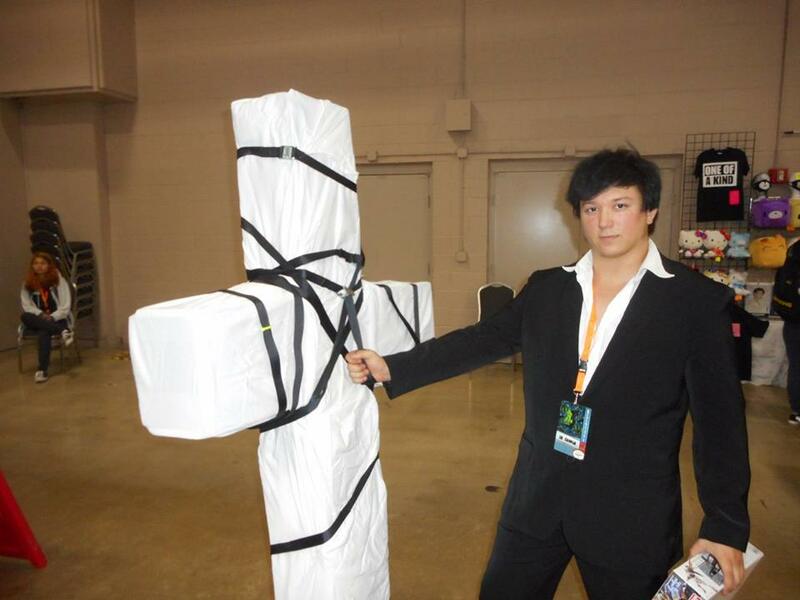 Nicholas D. Wolfwood is from the planet Gunsmoke. He is a punisher with a giant gun that he keeps under wraps. But his heart of mercy may be his downfall. Darius is a general from Noxus. His sworn enemy is Demacia. He carries a big bloody axe and has no known weaknesses. 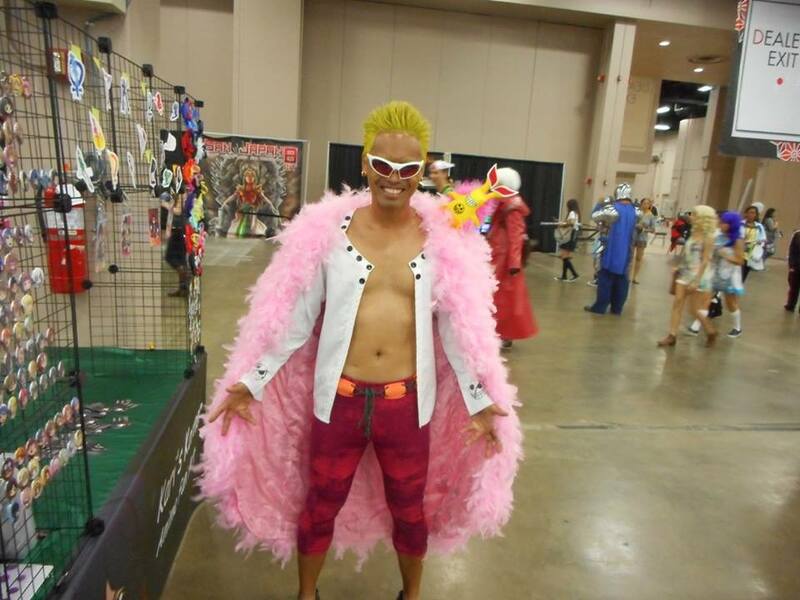 He was last seen slashing prices in the Dealers Room at the Henry B. Gonzalez Convention Center.